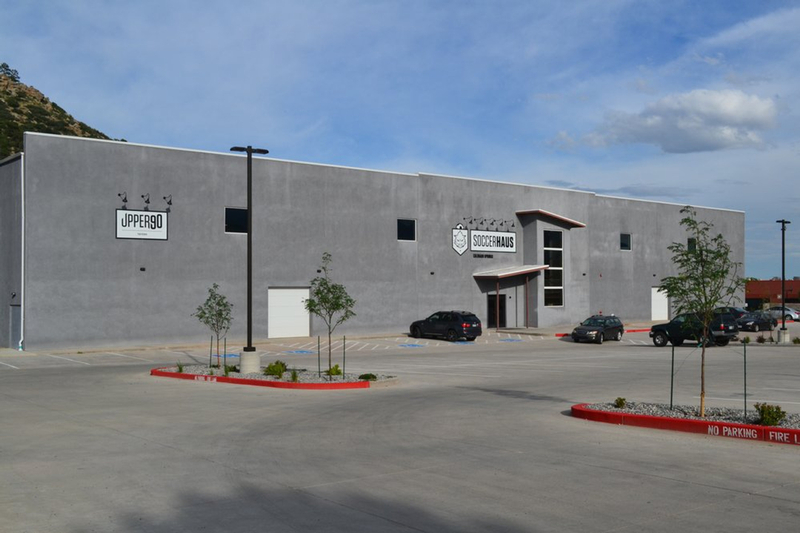 The SoccerHaus is a state of the art facility that offers arena soccer on three different fields for a wide range of skill levels. We will host our very own Colorado Inferno professional arena soccer team (MASL), as well as provide an array of soccer leagues for teams to join. We will also be providing soccer tournaments, soccer camps, and soccer clinics for youth 5 yrs to 17 yrs. SoccerHaus is Colorado Spring’s best indoor sports arena, offering deluxe experiences and state-of-the art features for all people to enjoy. Built by players, for players,™ the 48,000 square foot facility has been designed to bring together a united community of athletes and enthusiasts under one roof. More than just a venue to compete, SoccerHaus serves as a safe and inviting home for multi-age players, members of the military, families and fans alike – accommodating a wide spectrum of league play, recreational interests and special events. The global culture of soccer acts as the heartbeat of SoccerHaus, encouraging patrons to treat the arena as a second home and visit Upper90 Tavern – a full-service restaurant and bar for fellowship and festivities.